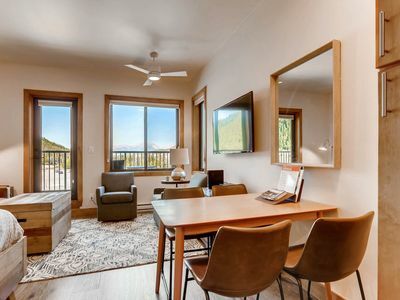 Fall in love with the beauty of the Rockies at this lavish 3-bedroom, 2.5-bathroom vacation rental townhome in the heart of Frisco. 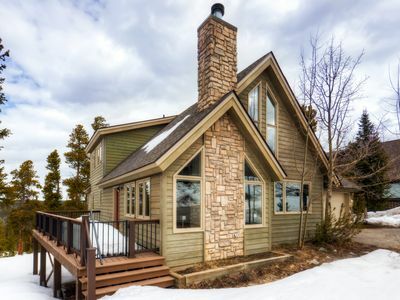 Whether you're drawn to the area by the top-notch ski resorts, breathtaking hiking trails, or Dillon Reservoir's boating and scenery opportunities, this 1,208-square-foot home for 12 guests will serve as the home base for your outdoor adventures. 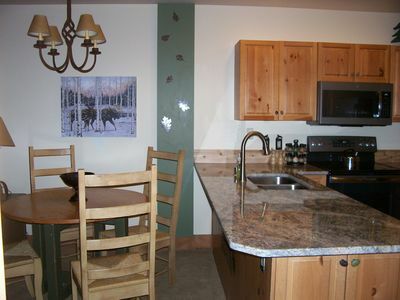 You'll also have access to 2 furnished decks, a gas fireplace, and awe-inspiring lake views during your stay! 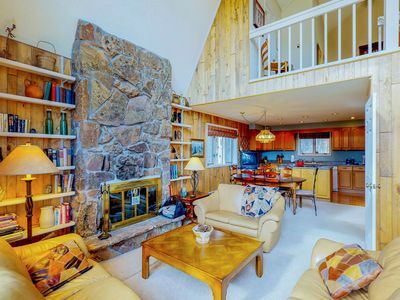 This tastefully decorated, multi-layout unit offers an eclectic collection of cozy-yet-contemporary furniture and artwork that celebrates music, ski history, and beauty. 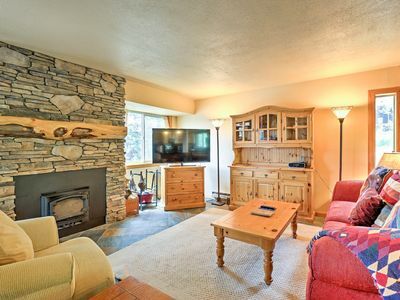 After a day of skiing, retreat into the living room and turn on the gas fireplace. As you stream your Netflix favorites on the flat-screen Apple TV with cable, you'll feel the warmth of the fire eliminate your winter chill. 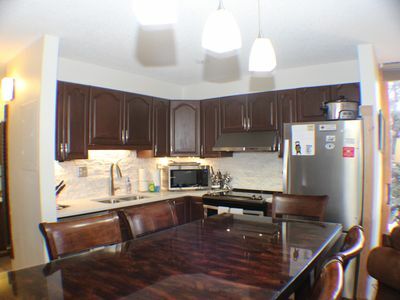 The fully equipped kitchen offers granite countertops and stainless steel appliances that make cooking a breeze. 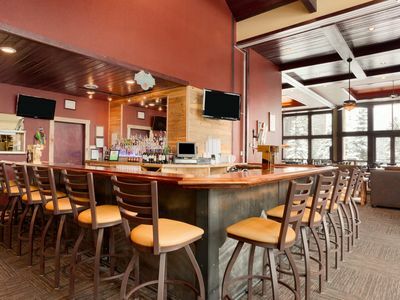 Once you've taken your final bites at the dining table for 4 or at the bar seating, kick back on one of the home's 2 balconies and marvel at the unobstructed views of Lake Dillon. 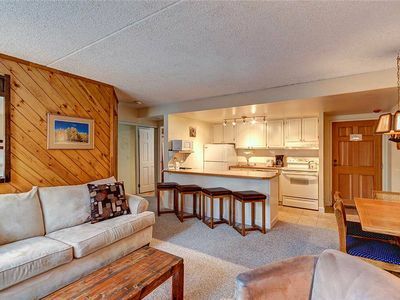 The lower balcony boasts a stainless steel grill and both balconies have plush seating. 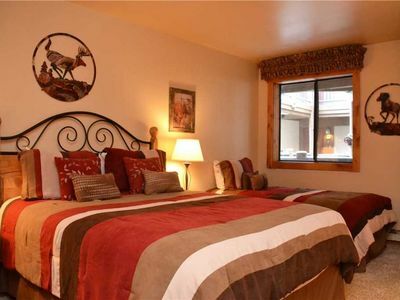 When it's time to hit the hay, head into the master bedroom and melt into the cozy queen bed. 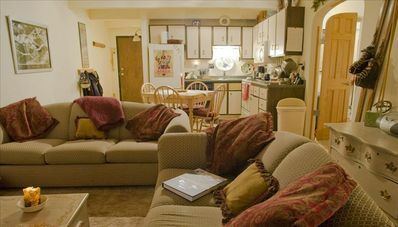 As your friend dozes off in the twin Murphy bed, enjoy some late night rerun on the flat-screen Apple TV with cable until you drift to sleep. The townhome's other bedrooms feature beds for 8 and great natural light, making them perfect places to rest your head after a day of outdoor adventures. 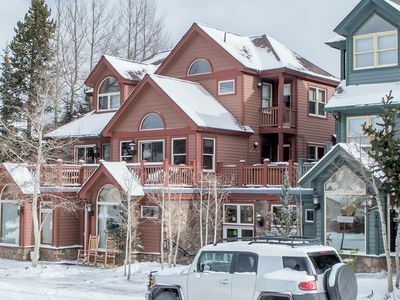 The town of Frisco is an authentic mountain community with a deep history as a mining town. Frisco honors its past through preservation of the historical elements of the town while also bringing in the appropriate amount of modern design, safety, and convenience. 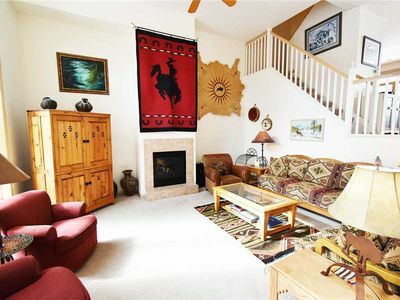 Located in the heart of Frisco, this cozy townhome sits mere blocks from Main Street. 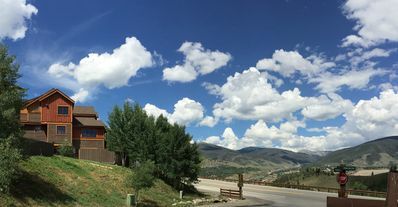 Whether you choose to peruse the unique shops or dine at one of the many delicious restaurants, you're sure to have a blast exploring this gorgeous Colorado town. The Dillon Reservoir, located a short walk from the property, is the perfect place to spend a Sunday afternoon. 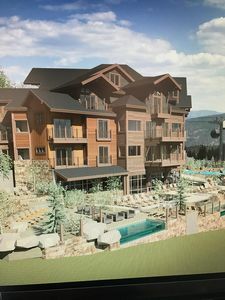 You'll be able to sail, boat, or rent a paddleboard or kayak at this popular summer attraction. You can also bike or run on the paved trail to the town of Dillon just a few miles away. Prefer skiing to boating? 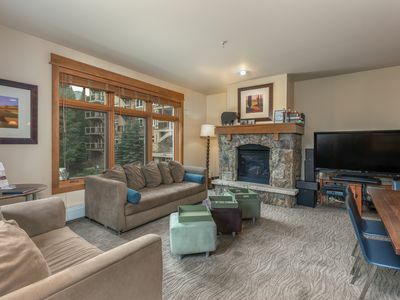 You're in luck, this townhome is centrally located to 4 world-renowned ski resort. 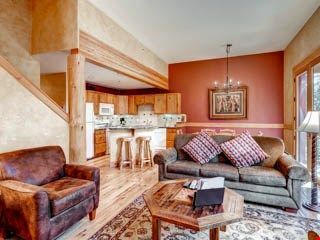 Within 16 miles of the property, you'll find the hundreds of runs that Breckenridge, Keystone, Copper Mountain, and A-Basin, have to offer. For even more outdoor fun, be sure to check out the area's many breathtaking hiking and biking trails and annual events. Frisco's Bar-b-que Festival, 4th of July celebration, and free concerts in the park are fun for the whole family. 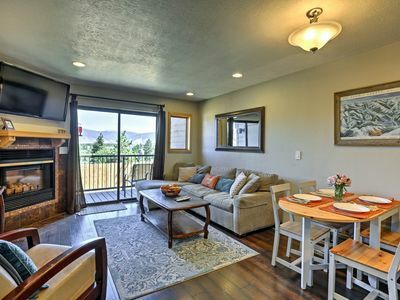 - Amenities include 3 flat-screen Apple TVs with cable, 2 balconies, stainless steel appliances, a gas grill, gas fireplace, granite countertops, free WiFi, in-unit laundry machines, driveway parking for 1 vehicle, and more! 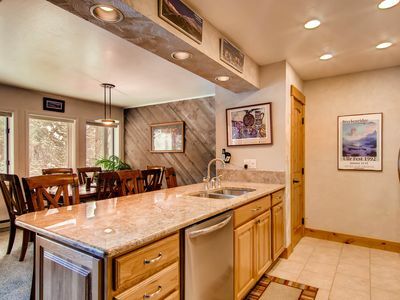 - The homeowner of this property has been a 5-star Superhost in the past! NEW! 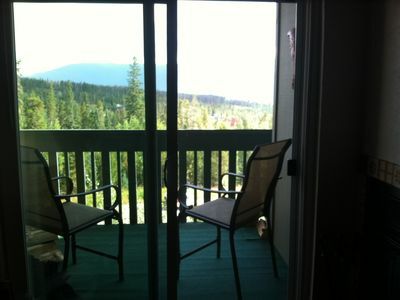 Silverthorne Townhome w/Deck - Near Keystone! 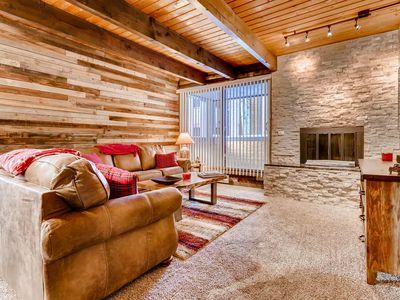 Relax in this Rustic and Comfy Mountain Condo!